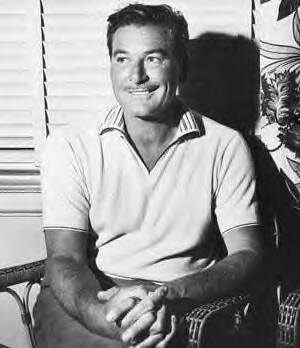 We Welcome New Author Kathleen to the Errol Flynn Blog! Just started a Twibe. Visit twibes.com… to join. Cinematographer and director Jack Cardiff, who actress Marilyn Monroe once described as “the best in the world”, has died aged 94. He was best known for his work on movies such as The African Queen and Sons and Lovers, and was awarded an Oscar for Black Narcissus in 1948. The filmmaker was also presented with an Honorary Oscar in 2001. Born to two music hall artists, he grew up in the theatre, resulting in a showbusiness career spanning 90 years. He moved into film as a runner on the 1928 drama The Informer, then progressed to work as a camera operator and, eventually, cinematographer. In an article for The National Gallery in 2007, Cardiff described his early film set experiences. “I suppose I was much less than an apprentice when I first went behind the camera,” he wrote. “I was a runner, whose main job was to supply the German director with Vichy water because he had a problem with flatulence.”. He also described how, as a child, he used to watch art directors work in theatres, painting the backdrops and setting up the lights. “I was fascinated by two men up in the wings, one on each side of the stage, following the actors with a spotlight,” he wrote. In 1937 he shot Wings of the Morning, the first film in Britain to be shot in Technicolor. He also worked with cinema greats Laurence Olivier and Marilyn Monroe in the 1957 movie The Prince and the Showgirl. He was made an OBE in 2000. In 2001, he took part in an interview with readers of the BBC news website, in which he revealed he would have been a painter if he had not worked in film. In fact much of his work was inspired by impressionist painters – he said the lighting and colour palette of Black Narcissus “was inspired by Vermeer”. Cardiff was admired by many in the film industry, including Martin Scorsese. The director once described the 18-minute dance sequence in 1948's The Red Shoes as “a moving painting”. Scorsese added the cinematographer could “paint with the camera”. When asked which films he was most proud of, Cardiff said the “successful” ones had really made their mark. “Naturally, I am proud of successful films that I have enjoyed working on like The Red Shoes and the Black Narcissus and I have had a certain satisfaction from that. 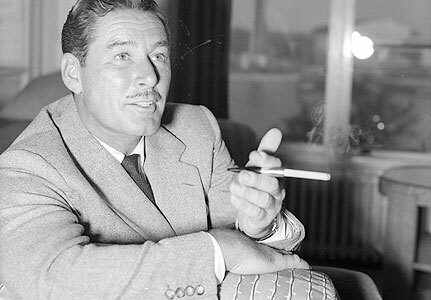 I like to plug what our Authors on the Errol Flynn Blog are doing! There’s something not quite right about Shelby’s Oasis, the run-down tourist trap in the middle of the Arizona desert. For a start, the Shelby sisters, Agnes and Diana, seem to have more skeletons than closets in which to hide them. And with rumours of a fortune in gold buried somewhere on the property, who can really be trusted – the sisters' scheming brother Scott? The seductive Kelly-Anne? Or Mitch, the manipulative loner who accidentally stumbles into their twisted lives? Only one thing’s for sure: nothing at Shelby’s Oasis is quite as it seems. We are pleased to Welcome New Author Lee Thielker! Robert Florczak has posted a new Then And Now Photo! 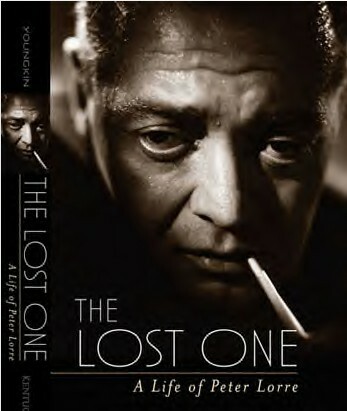 Our friend and fellow Flynnatic Stephen Youngkin has a wonderful interview on Imbd about his excellent bio of Peter Lorre, The Lost One… done for Cinema Retro by Herbert Shadrak.